Mashoni Design Studio team is made up of Janez Mesarič, Maša Majce Mesarič and Petra Bukovinski, and their work colleague Ajda Bevc. Their work is related to product design and trademark development. They have established the Ribrand trademark which has become a well-recognized trademark at home and abroad. Their products, made in cooperation with the Handicraft Centre, represent the updated version of traditional woodenware products originating from Ribnica. They swear by the Slovenian wood quality and production of the Slovenian wood they use. L.P: What was the initial idea related to the establishment of your design studio? J. Mesarič: It all occurred very spontaneously. I was a creative director of Asobi design consultancy, but I was also working on my own projects. Over time I realised that my own projects were more time consuming and also much more interesting. I met my wife Maša at Asobi where she was replacing me for a certain period of time. The other two members of our team are Petra and Ajda who were Maša’s colleagues at the faculty. We would often spend our free time together having discussions over a cup of coffee. We carried out certain projects together and due to these joint projects we decide to set up a small design studio together. Gradually we started gaining more and more projects, and since these projects were very well received, we got additional new projects. Thus we started expanding. L.P: What are the activities of Mashoni Studio? J. Mesarič: In our design studio we take care of everything, from product design to full graphic design of a trademark. Currently we do a lot of work in digital environments, and just recently we have also started with activities in the area of animation. We are working on a long-term project for the Italian festival– a complete trademark reconstruction, from graphics to the website. We also make designs for audio equipment, loudspeakers and amplifiers for a Russian company and a Slovenian business partner. Maša and Petra work with an Austrian computer programming company which is preparing an application for pdf checking. I am currently working with Intra Lighting company, designing illuminants and illuminated bodies for them. We work on a variety of different projects and more than 50% of our clients are foreign businesses. Additionally we are currently working on the reconstruction of our own website. L.P: How did the Ribrand trademark come into existence? J. Mesarič: The Ribrand trademark was created in cooperation with the Ribnica Handicraft Centre, which is a centre that encourages and teaches traditional crafts. The Handicraft Centre contains a wickerwork and a pottery department as well as a sculpture and fine art department. I was invited to become a lecturer and a mentor for the industrial design department and I have been working with them for six years. My grandparents are from Ribnica therefore I am personally connected with their culture. A few years ago, I realised that further development in traditional wooden craft activity was needed, and together with the Handicraft Centre we decided to establish our own trademark. They were willing to finance production of stocks and prototypes, and our design team took care of both product design and full graphic design. The main idea was to cooperate with people from Ribnica and to show them that traditional things could be turned into something modern and new. We wanted to encourage younger designers to start designing in such a way that a new final project would be developed. L.P: What difficulties did you encounter at the beginning of establishing your trademark? J. Mesarič: This project was created with a great excitement, although it progressed rather slowly at the beginning. It was, namely, very difficult for us to find the right producer since no one was willing to work with us at the beginning. The reason for this reluctance was that some of them had had very bad experiences with designers. We are usually seen as too aloof and intrusive. We often come up with an idea about creating a certain product that they then have to bring to reality, to accomplish an idea from start to finish to our specifications. Our design studio was fully prepared to cooperate with the Craft Centre and assist them with the implementation of the product as well as sales and marketing activities. At the very beginning we emphasized the fact that it would be good for them if they had started creating their own brands. Also, there were no negotiations between us regarding payments of the products. We did a lot of work with the graphical representation of the products – brand name, text, photographs, … So we hired a team of designers who were supposed to help us carry out the graphic design, but we were not satisfied with their work and so in the end we decided to do it ourselves. L.P: What is your sales strategy regarding Ribrand products? J. Mesarič: In order to make Ribrand a very recognized brand we decided to apply for Red Dot Design Award with a set of our kitchen utensils. We really had to work hard for this, but it was well worth it because we managed to achieve our goal – high brand recognition. Many bloggers have noticed our products and they started writing about us. We are well aware of the huge impact of social media networks, therefore we are trying to be active there – by writing blogs, posting good photographs and creating excellent graphics. Many of our products are sold in Slovenian concept shops and design stores as well as through our website. It was also suggested we should start selling our products in big supermarkets, however, we do not think our products belong there. What is essential about these products is their story and their value – they originate from traditional craftwork, they are made of Slovenian wood, and they are produced in Ribnica. If we started selling them in supermarkets, we would have to produce them in bigger quantities and consequently we would have to lower the price – this means lowering the costs and moving the production somewhere else. I see no point in it. Nevertheless, we have many loyal buyers and some of them are willing to buy all our products. This is really inspiring for us. L.P: Tell us something about the presence of the Ribrand trademark in foreign markets? J. Mesarič: We are aware that a successful foreign market penetration is of great importance, so we are trying to accomplish this to the extent that is allowed and provided by our budget. My wish is to take part in the Ambiente design trade fair in Germany, but at this moment we cannot afford it, neither the Craft Centre, nor us on our own as we are an independent design studio. However, we have many foreign partners; our product line of business gifts has been especially well accepted by many companies. Our products have been sold in Italy for a few years now, and we are also present in Austria. The problem that arises when we cooperate with the northern countries is the pricing policy – it is very different from ours and in case we started cooperating with them, we would have to increase our product prices, which raises new questions. L.P: What are your future plans regarding the Ribrand trademark? J. Mesarič: We are soon planning to launch a new line of kitchenware made of dark, oak wood because we have realised that consumers prefer to buy darker products for the kitchen (as if they were afraid of lighter wood colours). 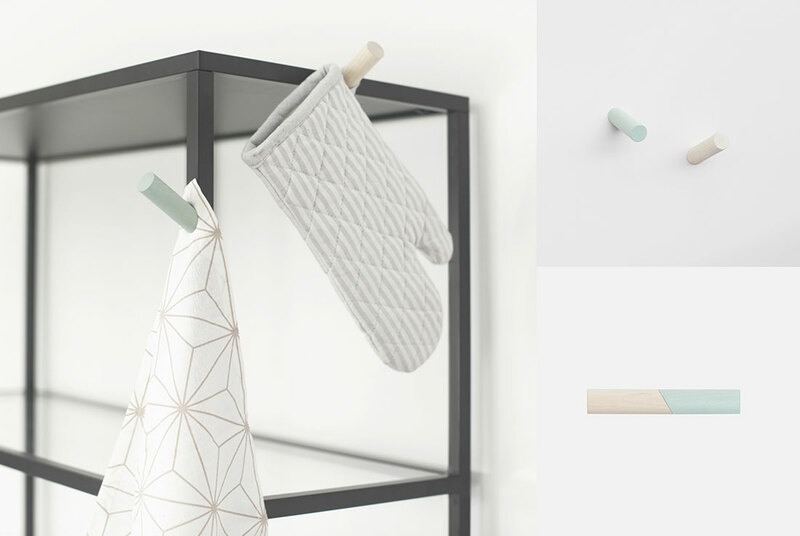 At the moment there is only our kitchenware collection available on the market, so we have been thinking that we should also start developing a homeware collection. Currently we are very busy working on some other projects, therefore the Ribrand collection has for the moment been put aside. Nevertheless, we are aware that this trademark should be expanded due to our excellent cooperation with the producer and besides these products have also been really well accepted on the market.